The Financial Supervision Commission has approved a minimum yield of 0.19 % on an annual basis, resulting from the management of the Universal Pension Funds /UPF/’ assets for the preceding 24-month period, considered from 30 June 2010 till 29 June 2012, while for the same period of time the minimum yield for the Professional Pension Funds /PPF/ has been determined at 0.55 % on an annual basis. The weighted average yield (modified weighted yield ) of UPF for the same period, calculated on an annual basis, is 3.19% and for PPF 3.55% respectively. The FIAP International Seminar 2012 "Opportunities and Challenges for Individually-Funded Systems in a Globalised World", organized jointly by the International Federation of Pension Fund Administrators (FIAP) and the Mexican Association of Pension Funds Management Companies (AMAFORE), was held on 31st May and 1st June 2012, at the hotel Fiesta Americana Grand Coral Beach Cancun Resort & Spa, in Cancun, Mexico. The Financial Supervision Commission has approved a minimum rate of return of -0.29 % on an annual basis, resulting from the management of the Universal Pension Funds’ assets for the preceding 24-month period considered from 31 March 2010 till 31 March 2012, while for the same period of time the minimum rate of return for the Occupational Pension Funds has been determined at 0.09.% on an annual basis. The EU pensions white paper suggests measures to help EU countries ensure adequate pensions in an affordable and sustainable way. According to the Social Security Code (SSC), every individual born after 31 December 1959 is obliged to participate in a supplementary pension fund. The distribution of individuals among the respective funds takes place either through a personal choice or by means of an administrative distribution in the event a fund has not been chosen. If you have been distributed to a fund through an administrative procedure or if you participate in a fund based on your own choice, but you have forgotten which fund you have chosen, you can now make an inquiry with the National Revenue Agency (NRA). - labor contracts declared by the person’s employer to the NRA. The personal identification code (PIC) is issued at the NRA offices by permanent address. The PIC can be obtained immediately after the application is filed, either in person or by another individual authorized by means of a notarized power of attorney. For e-services provided by the NRA click here. 7 February 2012 (PLANSPONSOREurope.com) – The proposed European Financial Transaction Tax would “disproportionately” impact pension funds and IORPs, according to the European Federation for Retirement Provision (EFRP). The European Parliament and the Council of the European Union are discussing a Proposal from the European Commission for a Directive on a common system of financial transaction tax (FTT), setting out a common tax on all transactions, carried out by EU-based financial institutions. • less liquidity would be circulating on the market. The EFRP has called on the European Parliament and the Council of the European Union to dismiss the Proposal, adding that if it is introduced, pension funds, IORPs and financial institutions managing assets on their behalf should be exempted from its application. The Financial Supervision Commission has approved a minimum rate of return of -0.82 % on an annual basis, resulting from the management of the Universal Pension Funds’ assets for the preceding 24-month period considered from 30 December 2009 till 30 December 2011, while for the same period of time the minimum rate of return for the Occupational Pension Funds has been determined at -0.25% on an annual basis. 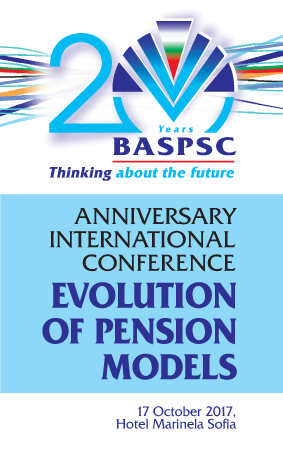 The Financial Supervision Commission has approved a minimum rate of return of -0.81 % on an annual basis, resulting from the management of the Universal Pension Funds’ assets for the preceding 24-month period considered from 30 September 2009 till 30 September 2011, while for the same period of time the minimum rate of return for the Occupational Pension Funds has been determined at -0.69 % on an annual basis. The Financial Supervision Commission has approved a minimum rate of return of 3.03 % on an annual basis, resulting from the management of the Universal Pension Funds’ assets for the preceding 24-month period considered from 30 June 2009 till 30 June 2011, while for the same period of time the minimum rate of return for the Occupational Pension Funds has been determined at 3.18 % on an annual basis.